How can I print the HTML to a PDF file? Can I make it print in Landscape instead of portrait? Will the program respect CSS styles such as page-break-after? Q: How can I print the HTML to a PDF file? Q: Can I make it print in Landscape instead of portrait? A: Yes. Go to your list of printers. 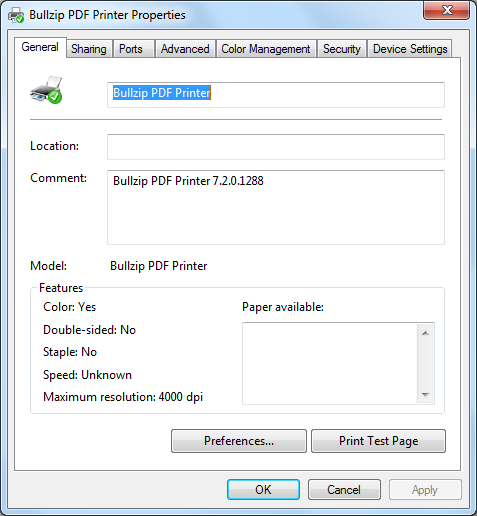 Select the printer you want to use and open the printer's properties. Then you click the Preferences button. 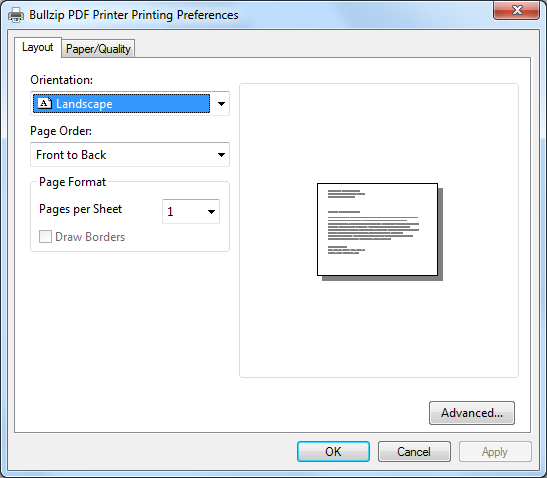 Select Landscape and click ok. You next print will default to landscape orientation. Q: Will the program respect CSS styles such as page-break-after?